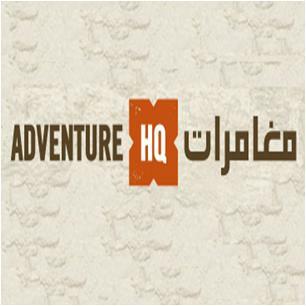 Dedicated to providing best quality products, the Adventure HQ Dubai continues to enrich the lives of its large number of customers with wide range of outdoor pursuits. This impeccable outdoor adventure superstore opened its door in 2011 and is located at the Times Square Center. The best thing about the Adventure HQ Times Square Center Dubai is that they do not compromise on the quality of the products they offer. And that is the reason why they have large number of loyal customers who visit them on regular basis. Adventure HQ Times Square Center Dubai offers unlimited products and activities for their customers. It offers latest in action sports, camping, diving, cycling, fishing, off-roading, hiking, kayaking, fishing, boating, diving, water reaction, clothing, footwear and many more. Besides outdoor pursuits, Adventure HQ has wide range of rental gear available for the “Try before you buy experience; rent bikes, tents and kayaks etc.” In-store activities like “Climbing Pinnacle'” and the “Cable Climb” are also conducted. They carry out cycling activities and their indoor bike workshop with the team of professionally trained mechanics is always available to keep your wheels turning. The “Discovery Lounge” of the Adventure HQ is nicely equipped with the latest facilities where you can kick back and loosen up, reading a magazine of your choice. This amazing lounge offers free Wi-Fi as well. Moreover, you can watch the footages of the latest happenings on the big screen of the lounge. From Saturday to Wednesday, the Adventure HQ Dubai’s timings are 10 am to 10 pm. While, on Thursday and Friday, the store operates from 10 am to Midnight. Reem Al Bawadi Restaurant, Gold & Diamond Park, Al Manara Park, Dubai Garden Centre etc. In view of the fact that there is no metro station in the close proximity of the Adventure HQ Dubai, it is better to go by a car, cab or bus. Quoz, Gargash 2 is the nearest bus station to the Adventure HQ Dubai. It is 300 meter from the superstore, making just 4 minutes walk. Simply get into bus No. 12 to reach this bus station. Once you reach the bus stop, head South-West on 6A St and then take a left turn onto Hasa Rd. find your destination on your right hand side. View Map.